2013 was a year filled with family, happiness, love and adventure. No one can be happy 100% of the time but when you have a wonderful family around you like I do, it's hard not to try. 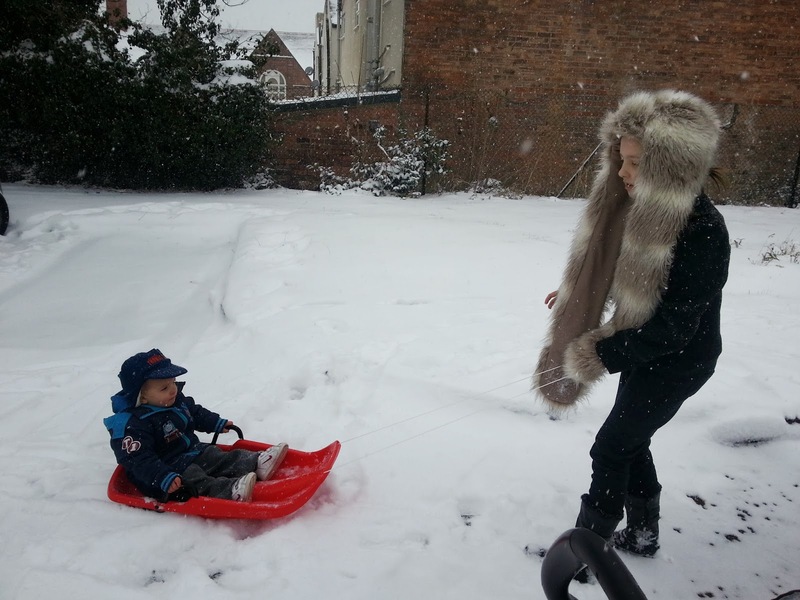 January 2013 brought us lots of fun times in the snow. We bought our very first sledge and enjoyed many hours of fun playing with it. The look on their faces was well worth the cold. March 2013 inspired my latest tattoo. 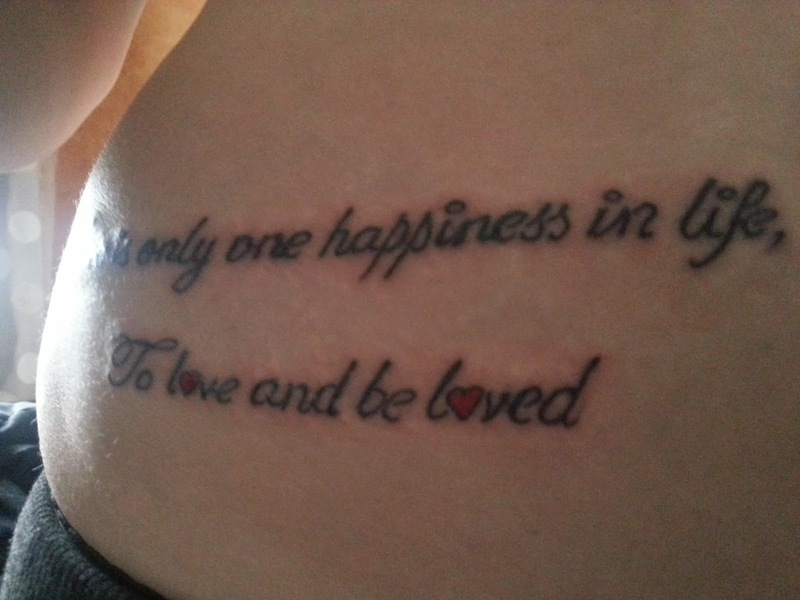 I put my favourite quote on my belly "There's only one happiness in life, To love and be loved" which sums me up perfectly! My family are my world and I love them so much and in the grand scheme of things, they are all that really matters. 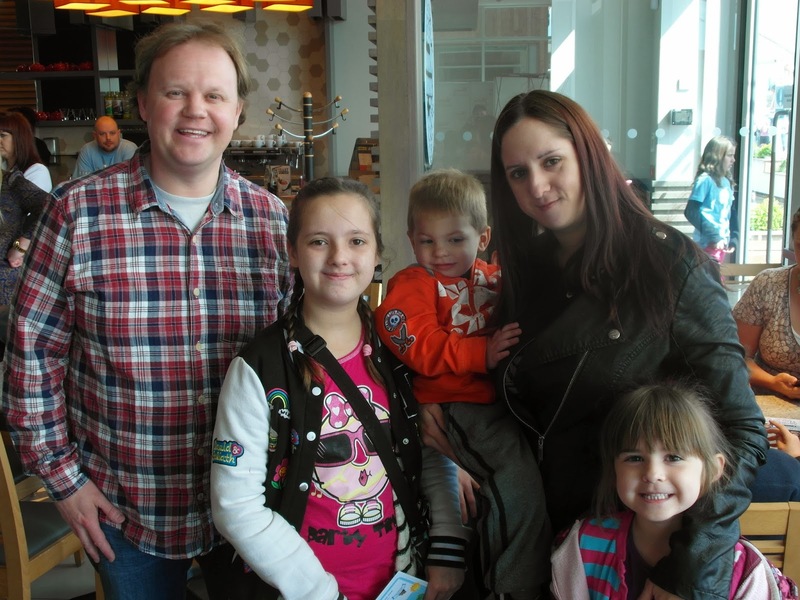 Meeting Justin Fletcher (Mr Tumble) was a huge highlight of 2013 for my family, that was the most amazing day of our year. Meeting Justin and watching his show was amazing! Being a bridesmaid for my best friend of 22 years was a real moment that mattered to me. We'd been friends since I was 9 and is the only friend from when I was little I have left. 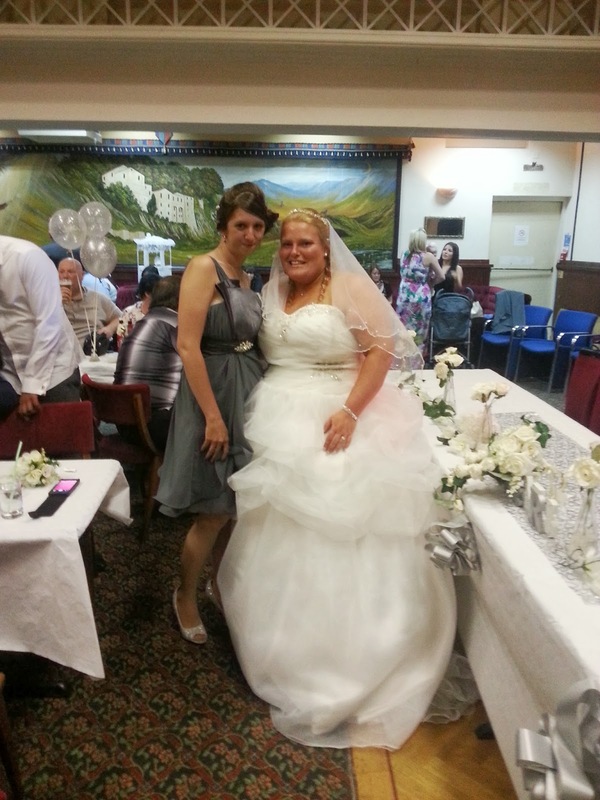 Being a part of her big day was wonderful and I will treasure our friendship forever. Family holidays are the always the best part of our summer holidays. Time spent together having fun is the best feeling ever. 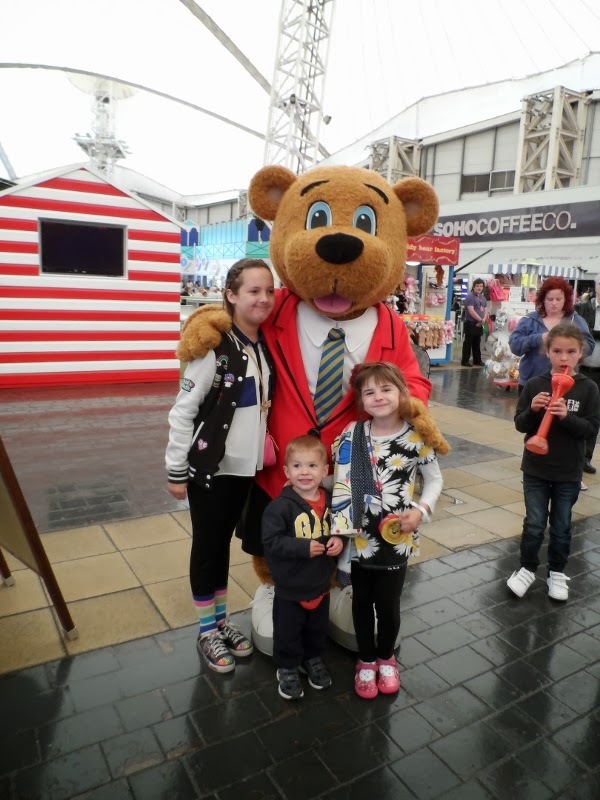 Butlins is where my children's dreams all come true. Family Birthdays are always special and definitely moments that matter to me. 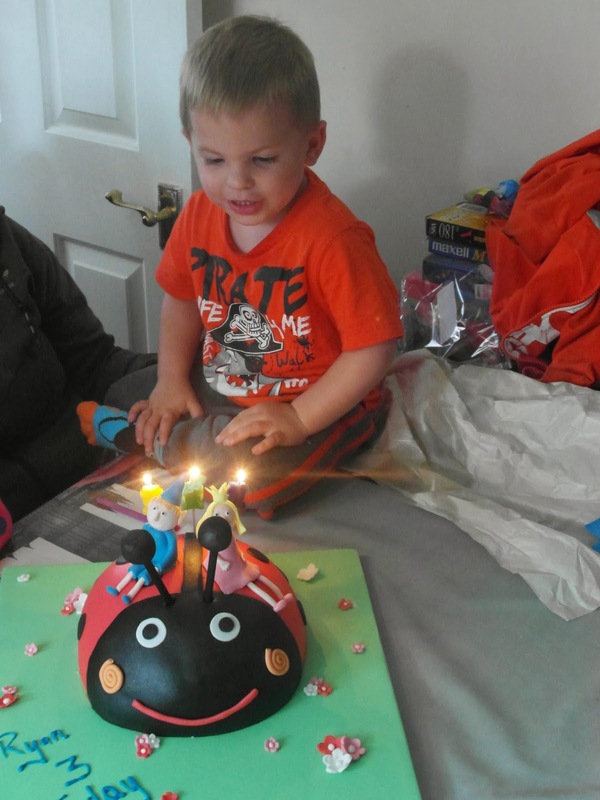 My little man Ryan turned 3 in June 2013 - he's such a gorgeous little boy who I love so much. 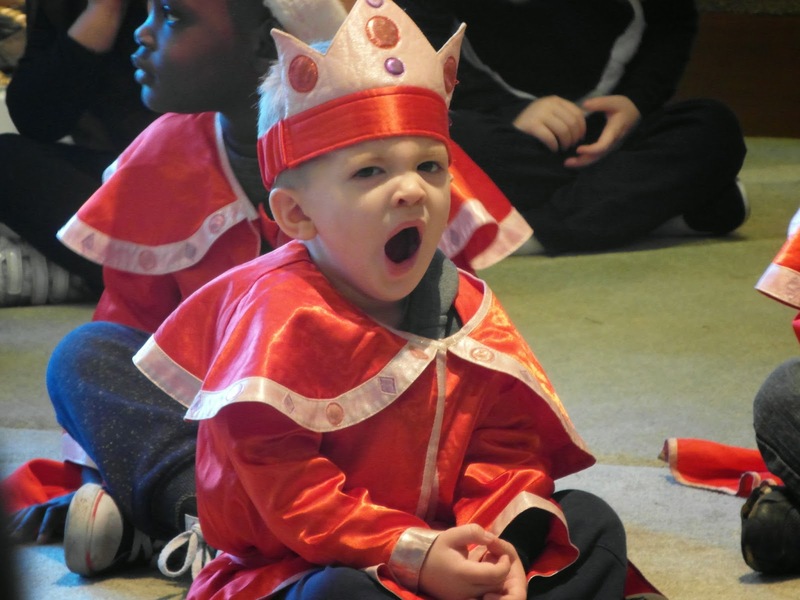 December 2013 brought lots of school assemblies but for my little man he got to play his very first part in a Christmas Play and what a cute little Wise Man he made to. 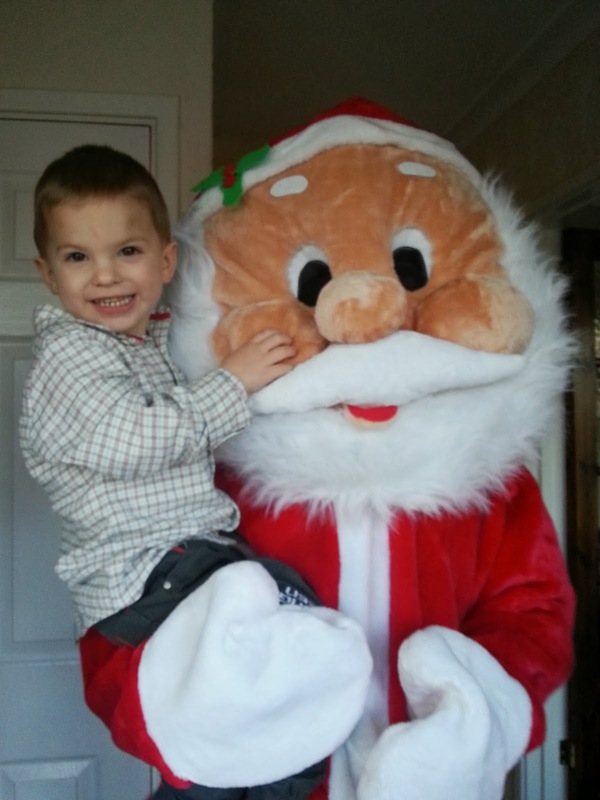 Last but not least we had a very special visitor last Christmas, Santa Claus himself joined us. (It was Daddy in a suit) We had the most amazing Christmas ever and will never forget it. looks like a brilliant year!